Billings Clinic is an integrated health system dedicated to improving the health of people in our region through compassionate, patient-focused care, education and research. Our care extends across a four-state area serving people in central and eastern Montana, northern Wyoming and the western Dakotas. We believe that combining a group physicianspractice, a regional acute hospital and a subacute and long-term care facility has lead to outstanding results in our region. 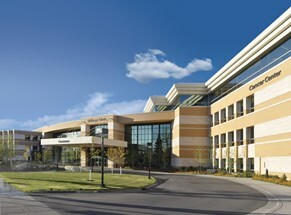 The Billings Clinic is the oldest and largest multi-specialty group practice in the region. The Billings Clinic has more than 280 physicians, physician assistants and other mid-level providers. Our 50 specialties range from allergy to urology. The Clinic is located in a wonderful family community with outdoor activities galore.